Currys also twinned with PC World offers so much when it comes to supplying shoppers with products. They supply washing machines, fridges, huge TVs, audio equipment, desktops, laptops and not forgetting cameras for the photography lover and more for the Black Friday shopper. Shoppers in the UK will love all the big discounts in November because prices will be super low. The best deals will be listed below; you can also click on the link to the right for the official BF hub for Currys PC World. When it comes to Black Friday in the UK this is a store you want to be bookmarking for all the amazing deals and low prices. Whilst you wait for November to come around Currys PC World will always be offering many other daily deals. Currys PC World Black Friday deals are right here. This Xbox One S + Game Bundle Price has been HEAVILY cut to ONLY £179.99 from £249.99. Bundle comes with 1TB XB1, Tekken 7, Forza Horizon 4 and Project Cars 2! The Currys PC World Black Tag Event Starts Tomorrow November 9th online, already showing signs in store. Currys PC World normally takes part in Black Friday, but wondering if they will be starting a week earlier in the sales to build up to November 23. I just saved £100.99 on the JVC LT-32C672 32″ Smart LED TV – it is now only £159. The Black Friday Now Prices are live and some of the deals are really good. You can SAVE £150.99 on HP Pavilion 15 Laptops right now. Just been told that the clearance sale they have on at the moment is to rid stock for their biggest black friday sale ever. Get ready for November 24th because this is when the new Currys PC World Black Friday sale is going to begin – apparently at midnight, so I would sit up late on November 23rd. Currys website confirms that they will be taking part in the Black Friday sale this year. 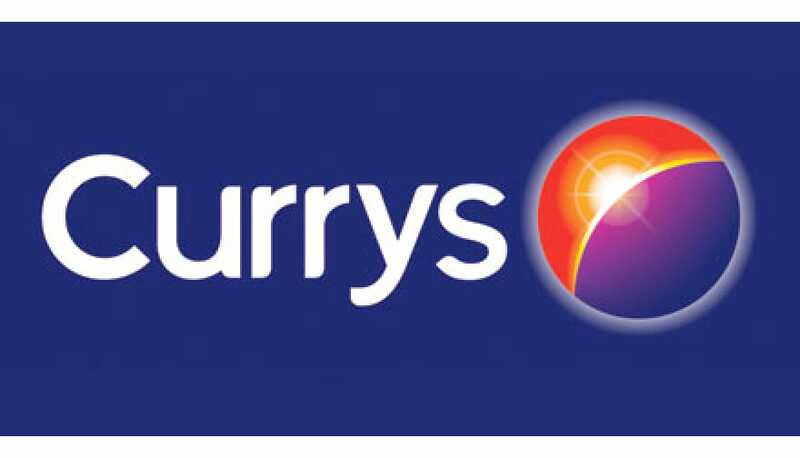 Currys PC World discount code that gives you £50 off the marked price on all TVs over £599. They have a save up to 50% online and in store at the moment, they are also offering an extra 5 day deals. They have a lot on sale such as the Nickel & Red DYSON V6 Total Clean Cordless Vacuum Cleaner down from £429.99 to only what you need pay £249. Currys PC World have a huge in-store sale on at the moment. I saw huge Samsung Smart 4K TVs for like £799 I am sure they were like 60-inches. The cheapest TV thanks to the Black Friday deals even though its Monday, which is why I guess they call its Black Tag lol is the SEIKI SE32HD07UK 32″ LED TV at ONLY £99.99 thanks to a reduction in price of £80. I just saved just under £201 on the Nickel & Red DYSON V6 Total Clean Cordless Vacuum Cleaner – I paid only £229. Out of the 29 laptops for sale during the Currys PC World Black Tag event i have to say the one i chose to buy is the aqua blue HP Stream 11-y050sa 11.6″ laptop priced at £149.99 reduced from £249.99. There are 43 TVs for sale under the Black Tag Sale roof, I am loving the 49-inch SONY BRAVIA KD49XD8305BU Smart 4K Ultra HD HDR LED TV because it is now priced at £699 rather than £1,099. This is great, the Currys PC World Black Tag sale event is now up and running and they have the LG 49UH850V Smart 3D 4k Ultra HD LED TV up for sale and its only £699. Totally forgot about Black Friday and i paid a lot more, not happy. Will Currys honour the money back promise if i take back and ask back the difference? Is there anywhere cheaper than here at the moment that sells the 55-inch SAMSUNG UE55KU6670 Smart 4k Ultra HD HDR 55″ Curved LED TV )product no – 163434), Currys are selling for £849 thanks to a huge £400 saving? Down from £459.99 to only £299 is the black LENOVO IdeaPad 510 laptop, the size of the screen on this one is 15.6-inches. Looks like there is no need to wait for Black Friday at Currys PC World, the sale has come early where they have thousands of unmissable deals online. I heard that Currys will be opening up around 7am on November 25th for the Black Friday sales. Even on the Sunday of that weekend stores will stay open until 10pm. Get 10% off the marked price on Windows laptops worth over £699. The discount code to use at checkout is WINDOWS10. The Currys PC World sale ends today peeps. Enter code LKA40 at checkout to save up to £100 the marked price of large kitchen appliances. If Currys is taking part then PC World is too considering they are the same company. Please could you let me know what deals they will be offering. Currys will be taking part in the 2016 Black Friday sale event. They say you should put this date in your diary November 25th. I have called my local store and they are saying they have no idea as of yet what type of Black Friday Deals they will be offering as of yet. We know there will be offers but not sure what. Curry’s have confirmed they are going to be holding its super Black Friday Sale this year. If you are into social networking then how about the LENOVO Ideapad 100 15.6′ Laptop in black (Product code: 148128). Was £249.99 but Now £189.97. Looking for great deals on Currys vacuum cleaners? Then check out the DYSON V6 Total Clean Cordless Vacuum Cleaner with a cool £130.99 price cut tag. Now only £299, search Product code: 131012 online now at Currys. Price was £599.99 NOW ONLY £349. Save £50 on the blue HP Stream 11-r050sa, now only £149.99 at PC World. The 50-inch Samsung SAMSUNG UE50JU6800 Smart Ultra HD 4k is now piced at £698 instead of £999 via Currys. Currys Gaming Offer Ends Monday 23, 2015: Whilst you go the chance you can still buy the XB1 with FIFA 16 and Star Wars Battlefront for £279.99 (That’s a saving of £64.99). Do Currys PC World (or even Tesco) staff get additional discount on Black Friday? Thanks for the Currys store opening times this is great to know. Some serious shopping next week i see from thousands of people. Is Currys PC World going to carry on the deals through to Cyber Monday? I cannot wait as i am after a new TV, but i will shop online to stay away from the madness. Will Currys / PC World have iPad deals on for Black Friday? The 16.6″ ACER Aspire F5-571 laptop with windows q0, 8GB and 1TB storage is now £369 thanks to the £150.99 saving at PC World. Save £1,000 on the 55-inch LG 55EF950V 4K OLED Smart Ultra HD 3D TV, now only £2,499 at Currys. Curry’s has a super Christmas sale on at the moment, and i spotted you can save 10% on the marked price on all upright vacuum cleaners when you use the code 10UPRIGHT at the checkout. I am so going to bookmark this page, hopefully I will get to see many Currys Black Friday deals hit in November. There are always deals going on over a Currys, but you know when November 27th comes the black friday deals will kick in and products will sell out fast. Especially laptops and TVs. Black Friday deals at Currys will start from November 27, 2015 this year and wow i am very much looking forward to this one. In 2014 it was crazy and hoping the UK will have things all sorted so no mayhem happens. I will be here in November to check out the deals they will have to offer. I so need a new laptop and tv so come on hurry up already Black Friday Deals.